With the desire to share our years as movers and our expertise we began New York Movers with one objective, to offer the very best in service with the lowest rates around. You always have a choice and we are very very pleased that you made us your choice. 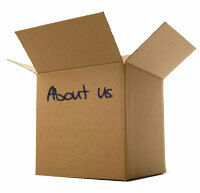 We always give top quality customer service and excellent, friendly and professional moving services. We are professional and make a point to surpass your moving needs when moving locally, regionally and nationally as well as 100% mover assistance working for you with the respect you would expect from a moving company. Thank you for choosing us!